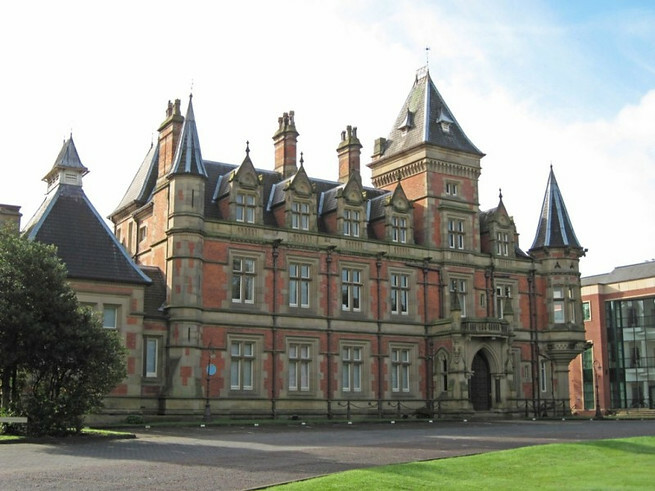 As the season of talks draws to a close, Diana Leitch will run through the history of ‘The Towers Estate’ aka ‘The Shirley institute, in Didsbury’. Looking in particular at its role in the making of Manchester and the scientific discoveries made there. The house was built for John Edward Taylor, founder of the Manchester Guardian, and was sold in 1874 to the engineer, Daniel Adamson. The decision to build the Manchester Ship Canal was taken in the drawing room of the house by Adamson and a group of associates in 1882. The house and its estate were bought in 1920 for the use of the newly established British Cotton Industry Research Association.But why the Shirley Institute. Don’t go wandering of now, to find out, leave it until the evening! The architectural historian Sir Nikolaus Pevsner called 'The Towers' “the grandest of all Manchester mansions”. The talk will be preceded by a short AGM. The evening will end with cake to accompany tea and coffee. 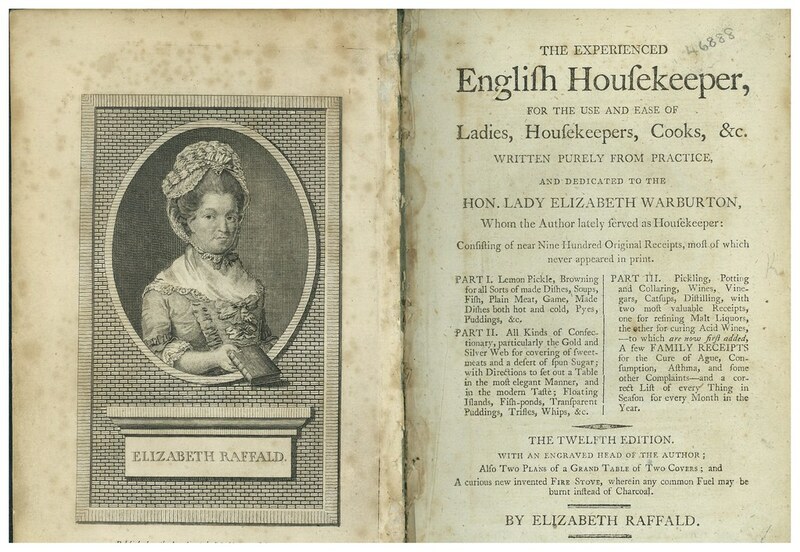 On a rather wet and unpleasant evening on Monday 18 March 2019, a very good turnout of people came to hear Suze Appleton give her presentation on Elizabeth Raffald. Suze began her talk by explaining how she came to be so interested in this little known lady. About five years ago Suze found a reference to Elizabeth on Twitter, and followed it up. It turned out that although there was information to be found on Wikipedia and other sources outlining the remarkable life of this lady. Suze, who has been a Manchester resident all her life, could not understand why she had not heard of Elizabeth or of her amazing exploits. This interest was spurred on when, soon afterwards, Suze went on a visit to Arley Hall with her local W.I. and discovered a poster with even more information. Sssh! Keep it quiet. Don’t say anything to the Legh family of Lyme but they are not the main branch of the family. The Leghs of Adlington are the senior branch and Adlington Hall has been handed down, generation by generation, all the way to Camilla, the current owner. The Leghs of Lyme are descended from a younger son who was sent out to make his fortune and fell on his feet by marrying well. Anne Woods gave us a history of the Legh family, artfully interweaving it with a visual tour of the house and garden. Just to keep us on our toes she introduced the odd picture from time to time showing mystery objects whose function or origin we had to guess. But more about those later. An acronym was originally just the initial letters of an institution or a project, used as a shorthand by people involved. However, the modern trend is for governmental agencies to think of the acronym first and then find a mission statement that can fit (or sort of fit). From time to time one of the talks in our programme strikes a chord with the wider community. So it was with our December talk about Belle Vue, given by Brian Selby and Frank Rhodes. As well as a good attendance of our regular members, we had twenty five visitors come to recollect something of their childhood. Brian and Frank were an effective double act. Brian was the amateur enthusiast; Frank was the historian. Brian did most of the talking whilst Frank relayed many of the anecdotes and legends that have grown up around the iconic amusement park.Memories were stirred but not shaken. Such was the promise of an evening of Belle Vue to the members…..and visitors. In March 2015, Judith Atkinson gave us a fascinating and entertaining insight into the building of the ‘Big Ditch’ - the Manchester Ship Canal, using a remarkable collection of glass slides. 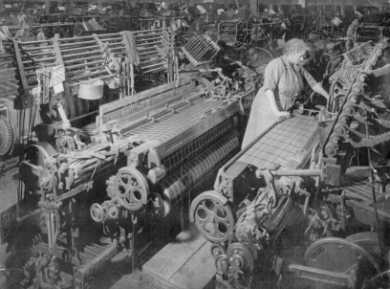 This evening, Judith excelled again, using an album of photographs that had narrowly missed being discarded in a skip to illustrate her talk about the working life of the Burgess-Ledward mill at Walkden. During the early years post the First World War, very few thought the aeroplanes would ever develop into a safe, efficient and affordable way to travel long-distances. The first airliners had only a short range – 500 miles at most – though that was probably plenty for the passengers because they were uncomfortable, cold, noisy, far from reliable -- and not very safe either. What a contrast with airships, especially Zeppelins! They could cruise for thousands of miles, carrying more passengers in far greater comfort than aeroplanes. They had kitchens and toilets and, on trans-ocean flights, cabins and showers as well. They were a little slower than airliners but, more importantly, they were two or three times faster than the ocean liners they were competing against.